Just 19 months before it makes its Paralympic debut in Tokyo, Japan, Para taekwondo is celebrating by holding the biggest tournament in the sport’s history. The 2019 world championships, set for 5-6 February in Antalya, Turkey, will see nearly 400 athletes from 69 nations – nearly twice as many as the last edition – compete for bragging rights and valuable ranking points. Seven new nations are competing for the first time, including Jordan, Saudi Arabia, Senegal, Switzerland, Slovakia, Tanzania, and Uganda. Host Turkey leads the way, with 56 athletes registered. With that in mind, let’s look at the stories to follow at the 2019 Para Taekwondo World Championships in Antalya, Turkey. 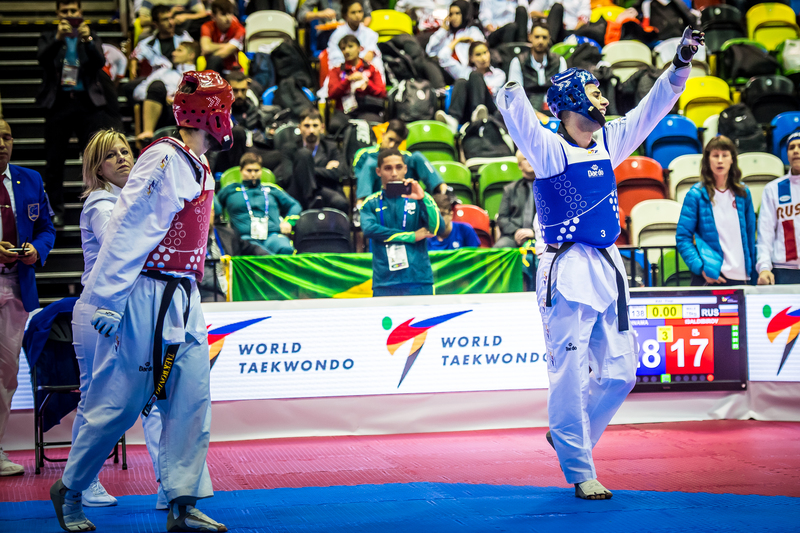 It seems appropriate that the largest tournament in Para taekwondo history is being held in Turkey – one of the sport’s most dominant nations. Nearly one-third of the athletes registered come from the home nation, and it’s possible that Turkey could medal in all 12 Paralympic-affiliated divisions. Those 12 divisions will be combined into six for the Paralympic competition next year. Countries have a quota of four fighters – or up to six, if they all qualify through the world rankings route (Top four in K44 divisions, Top two in K43). Turkey hopes to qualify the maximum six athletes. Even within divisions, there will be genuine competition between Turkish athletes. Take the up to 61 kg K44 division, where No. 2-ranked Mahmut Bozteke and No. 6-ranked Ali Can Ozcan are separated by just 60 points. Ozcan defeated his higher-ranked teammate at the Turkish championships last month. “I cannot give a clear answer to who will be champion of 61 kg”, Ozcan told the IPC, “but my first goal is to be world champion, even if that means beating my brother [Bozteke]”. How will the stars fare? 2018 was an up-and-down year for some of Para taekwondo’s biggest stars. Denmark’s Lisa Gjessing added a fourth European crown to her four world titles. She has now picked up nine straight tournament wins since picking up the sport in 2013 and remains the sport’s only undefeated fighter. France’s Bopha Kong told the IPC early last year that he hoped to win every tournament on the calendar in 2018. He did just that, winning six tournaments, including all four continental championships. His last lost at the last world championships in 2017, where he claimed silver. The worlds have proven difficult for the division’s dominant fighter over the last decade, as he has just three golds in seven world championships. Great Britain’s Amy Truesdale saw a reversal of fortune last year. After claiming her first world title on home soil at the last world championships as part of an undefeated 2017, she lost three times last year. That said, she capped the year with a Pan American championships title and will look to get back on track in Antalya. Who will be 2019’s breakout star? Every tournament seems to crown a new rising star in Para taekwondo. The last world championships saw the emergence of Mongolia’s No. 1-ranked Enkhtuya Khurelbaatar and Turkey’s No. 2-ranked Meryem Betul Cavdar. Russia’s No. 3-ranked Daniil Sidorov used the 2017 IWAS World Games as his coming-out party. Both of Niger’s Ismael Oumarou Gouzae and Korea’s Jeonghun Joo shocked top seeds at major tournaments last year. Following an impressive breakout year in the sport last year, 2020 Paralympic Games host Japan enters the 2019 world championships with legitimate medal hopes for the first time. Keep your eyes on 2018 Kimunyong Cup champions Kenta Awatari (up to 61 kg K43) and Shunsuke Kudo (up to 75 kg K44) to see if they can become Japan’s first-ever world champions. Another athlete to watch is Brazilian teenager Nathan Torquato. He medalled at all three international competitions he competed in last year, including a silver at the Pan American championships, and is looking to peak ahead of this summer’s Parapan Am Games in Lima, Peru. While the top three fighters in the women’s up to 49 kg division are comfortably ahead in the rankings, six fighters are within 20 points of each other for fourth in the rankings – the final automatic qualification spot for the 2020 Paralympic Games. Uzbekistan’s Ziyodakhon Isakova currently holds the spot, but can she hold off Russia’s Anna Poddubskaia and the others? Spanish legend Alejandro Vidal Alvarez currently has a secure hold on the No. 2 ranking in the up to 61 kg K43 division, nearly 100 points up on Canada’s Anthony Cappello. With only two fighters gaining automatic qualification in the division, an early exit could complicate things for him. That said, Alvarez always seems to rise to the occasion – he has made the final in six of seven world championships and has won gold in four of the last five. Who will emerge from the men’s over 75 kg K44 division? If 2018 taught us one thing, it’s to expect that anything can happen in the men’s over 75 kg K44 division. Four different fighters were crowned champion at the four continental championships last year, with six different fighters making the finals. The top eight fighters are within 100 points of each other, with the winner at next week’s world championships gaining a crucial 100 rankings points. Just look at the last world championships. Russia’s Aliskhab Ramazanov – who had to that point only had a Round of 16 exit at the European championships to his credit and was ranked No. 18 – stunned the division by winning gold. At the same tournament, Iran’s two-time world champion Asghar Aziziaghdam crashed out in the Round of 16. This year’s tournament features four previous world champions (Ramazanov, Aziziaghdam, Croatia’s Ivan Mikulic, and Turkey’s Bayram Kayan), a world championship runner-up (Russia’s Zainutdin Ataev), and last tournament’s top-ranked fighter (USA’s No. 2-ranked Evan Medell). 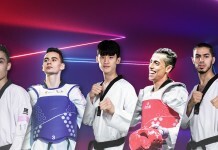 With just four automatic qualification spots to the 2020 Paralympics, and eight serious challengers jockeying for rankings points, the men’s over 75 kg K44 is the division to watch at the 2019 Para Taekwondo world championships in Antalya, Turkey.